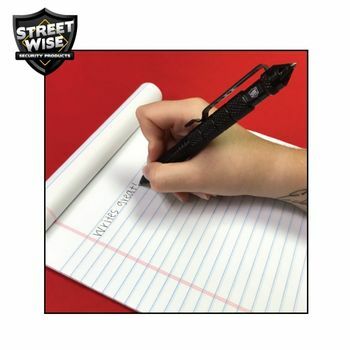 The new Streetwise PROTECTOR Tactical pen not only writes great but it is also the right product to protect you from an attacker! It is a close-quarters self-defense weapon and a fine writing instrument that can also be used as a window-breaker in case of an emergency. The ink pen uses standard refills. 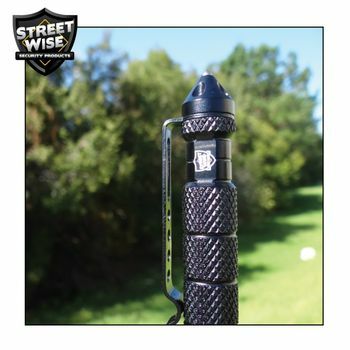 The Protector is crafted of Aircraft Aluminum and features a Tungsten Steel Tip for self-defense or breaking windows. 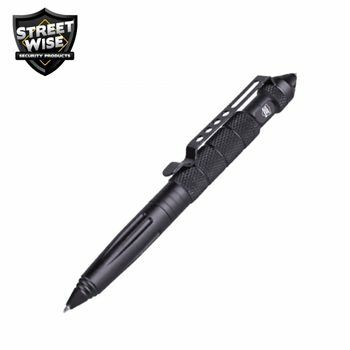 The Streetwise Protector Tactical pen is made of the highest quality components and comes with a 1-year warranty.